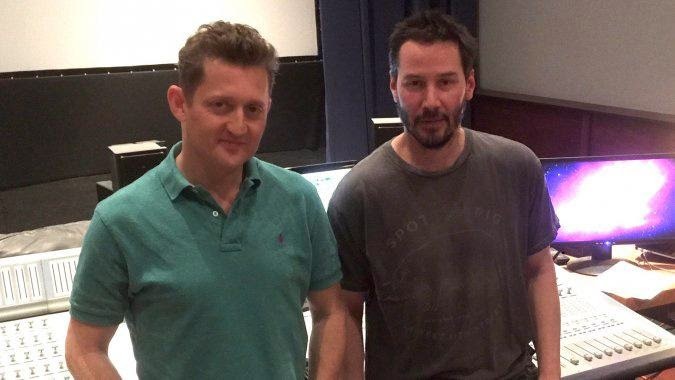 Alex Winter and Keanu Reeves have been close dudes since starring in the beloved 1989 comedy Bill & Ted’s Excellent Adventure and its 1991 sequel, Bogus Journey. As with the long-gestating Ghostbusters reboot(s) that finally got the greenlight, reports about a Bill & Ted part 3 have been swirling for years. Winter, who retired from acting in 1993 after the sci-fi comedy Freaked, has an active film making career — his last movie was the well-received Napster doc Downloaded — which means that he every time he releases a new doc, he’s inevitably drilled about the fate of the franchise. Winter said that even though he no longer pursues acting jobs, he would of course reprise the role Wyld Stallyn Bill S. Preston, Esquire.